Look no further for a hearty breakfast that can’t be beat! 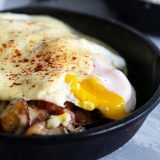 This Meat and Potatoes Breakfast Skillet is filled with bacon, ham, potatoes, cheese and topped with eggs and an easy, creamy homemade hollandaise sauce. 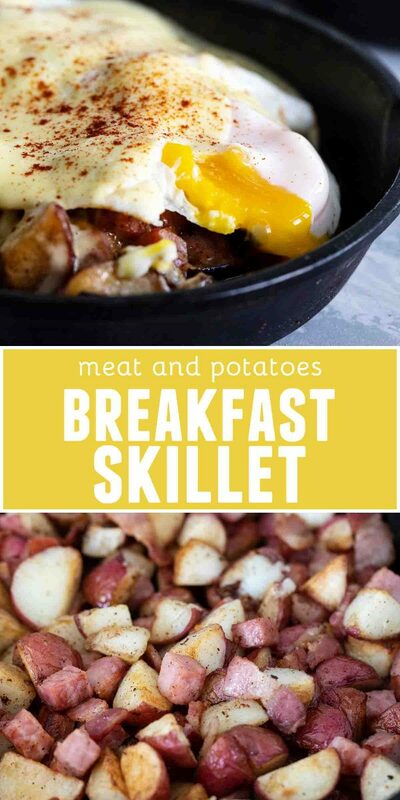 Make sure you check out part 1 where I take you around St. George, Utah, and show you where I ate a tasty breakfast that inspired this Meat and Potatoes Breakfast Skillet! I’ve said it before, but breakfast is my favorite meal. Maybe not even just for breakfast, but I guess I should say that breakfast foods are my very favorite. 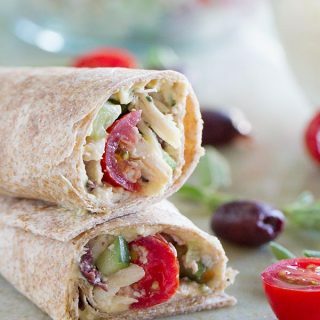 Breakfast, lunch or dinner – I’ll take breakfast foods all day long! So when I was on a recent girl’s weekend to St. George and my sister in law talked about a place she loved for breakfast, we headed over to try it. When I travel, I usually try to find the local restaurants to try, but I didn’t plan this trip, and I was just going along with the flow. Which is a good thing, because I wouldn’t have tried The Egg and I otherwise!! 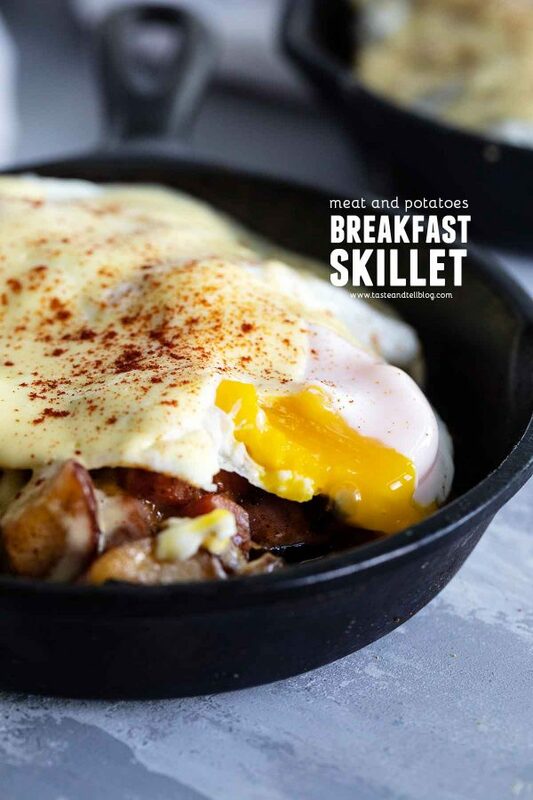 I had a hard time deciding what to get, but ended up choosing the Cambridge Skillet, which had ham, bacon and jack cheese on ranch potatoes, with 2 eggs any style and hollandaise sauce. It was delicious. And I knew I had to try to recreate it at home. baby red potatoes – I tried this with russets, and it didn’t work nearly as well as the baby red potatoes. If you can, find them so small that you only have to cut them in fourths. bacon – I prefer thick cut bacon, but regular bacon will work as well. ham – If you have leftover holiday ham, that is ideal here. I used a ham steak, and while it still tasted delicious, the ham steaks have a lot of water in them. So when you are frying them in bacon grease, there is some popping. I even had a piece pop right out of the pan and across the room. So just be careful and use a splatter screen if you have one. 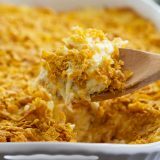 colby-jack cheese – you can use any cheese you want here, but I loved the colby-jack. eggs – you’ll cook these separately and can cook them however you want. I like them sunny side up. I tried baking them in with the potatoes, but in the end I preferred them to be cooked separately. egg yolks – this is to make the hollandaise. And don’t worry – these are not served raw, they are cooked by the heat of the melted butter. lemon juice – this works as the acid in the hollandaise. I love the freshness that it brings. butter – you’ll want to melt the butter and then slowly add it into the blender while the blender is on low to emulsify the sauce. paprika – not 100% necessary, but it does make it a lot prettier! You’ll start by prepping the potatoes. Depending on how big or small they are, cut them into fourths or sixths. I like to buy the really small ones for this breakfast skillet so that I mostly just have to cut the in half and then half again. 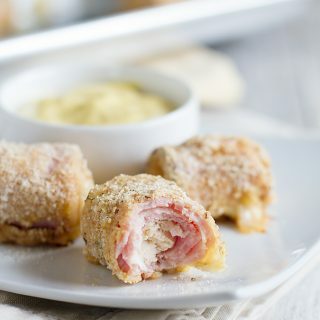 You want them just smaller than bite-sized. Place the potatoes in a pot and cover them with water. Bring the water to a boil, then set the timer for 5 minutes. I have found that 5 minutes is the magic number. You want them fork tender, but just barely because they will continue to cook in the skillet. When they have been boiling for 5 minutes, drain and return the potatoes to the pot to dry out slightly. 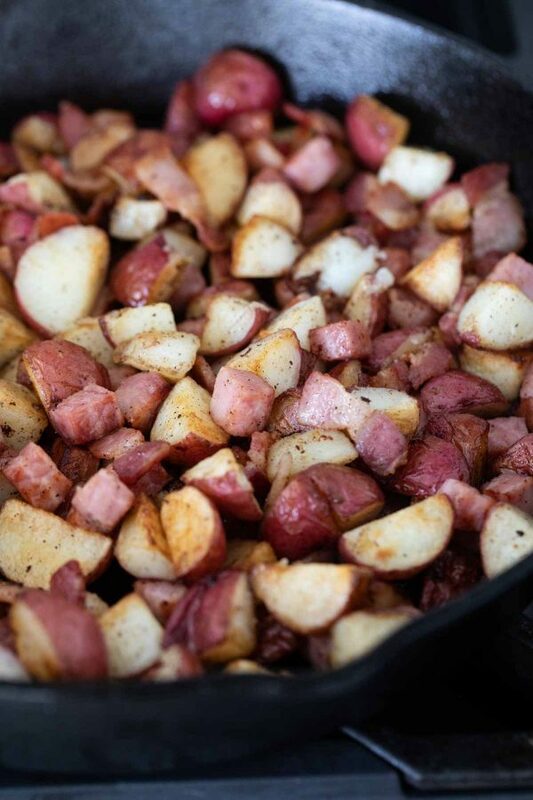 While the potatoes are cooking, cut the bacon and ham and cook them in a large skillet (I like to use cast iron for this) and cook them until they are browned and crisp. Then remove them to a paper towel lined plate, reserving the grease in the pan. Carefully add the potatoes to the skillet and stir them to coat them in the bacon grease. Put them in as much of a single layer as you can and cook, without stirring, for 5 minutes. When the time is up, stir and cook an additional 5 minutes. Then repeat this one more time, for a total cook time of 15 minutes. Turn the heat off and stir in the bacon and ham, then top with cheese and place a lid on the skillet to melt the cheese. Cook your eggs according to your preference. 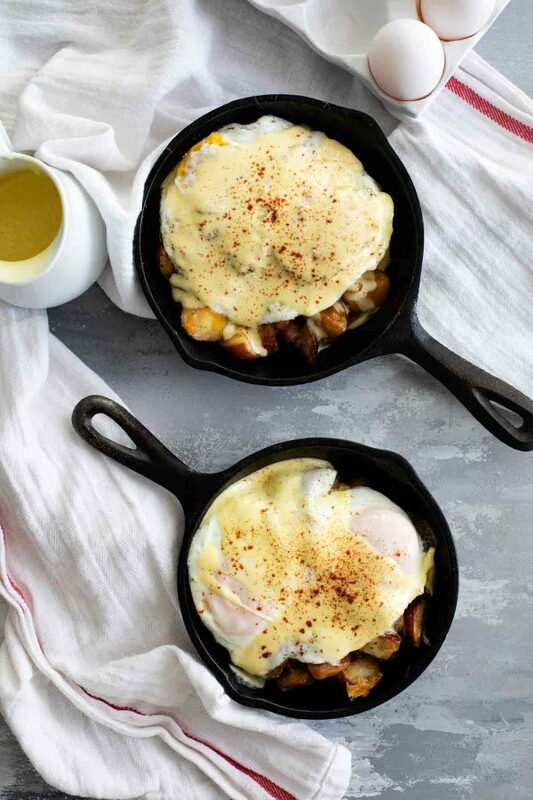 To make the hollandaise, place egg yolks, lemon juice and a pinch of salt in a blender. 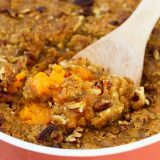 With the blender on low, stream in the melted butter, then continue to process until the sauce is creamy and thick. 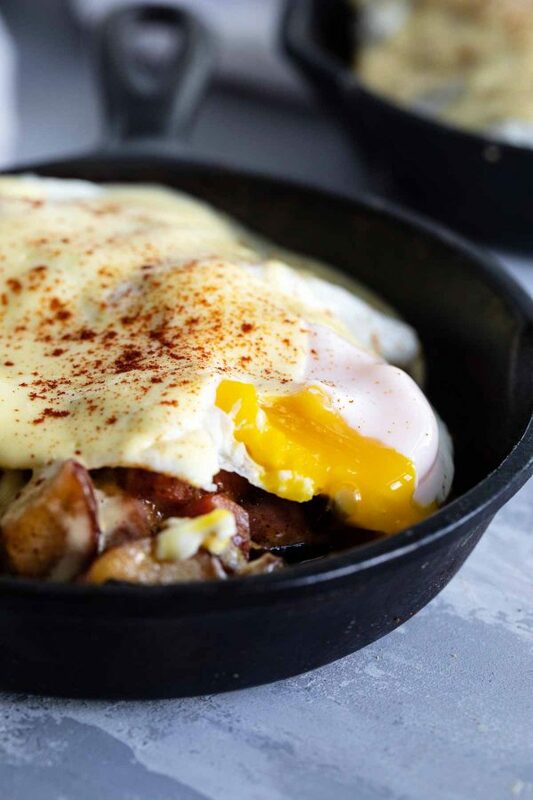 To serve, place your eggs on top of the potato mixture. Then drizzle the hollandaise on top. Sprinkle with paprika, if desired. 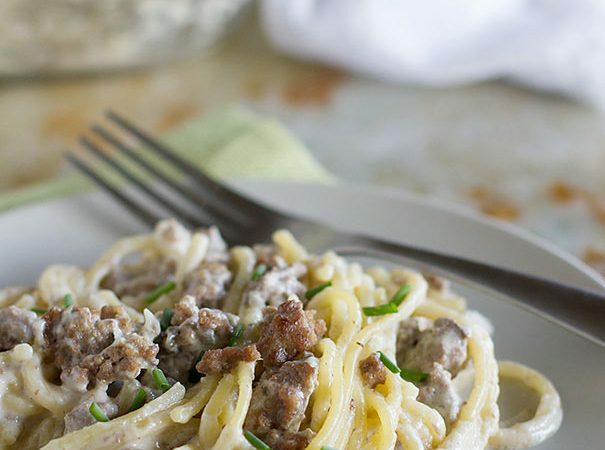 I have used my 12-inch cast iron skillet to make this every time. I love cast iron because it helps to brown the potatoes, and it is just really my favorite to cook with! I also have several 6″ cast iron skillets, which is what I served mine in. You definitely don’t have to have these – I just thought they would be a fun way to serve this breakfast. I didn’t actually cook in them, just transferred the potato portion over and put my egg on top. I have started using a splatter screen over my skillet which has helped a ton in clean up! You need a blender to make the easy hollandaise – I have a Blendtec, but any blender should work. Clean the potatoes and cut into fourths or sixths, depending on their size. You want them slightly smaller than bite-sized. Place the potatoes in a large pot and fill with enough water to cover them. Place over high heat and bring the water to a boil. Once it is boiling, set a timer for 5 minutes. When the time is up, drain the potatoes and return them to the pot to dry out slightly. Meanwhile, cut the bacon into small pieces. Dice the ham. Place both the bacon and the ham in a large skillet (I like to use cast iron for this) and cook over medium heat until the bacon is crisp and the ham is browned*, stirring often. Carefully add the potatoes to the skillet and stir to coat. Let the potatoes cook over medium-high heat for 5 minutes. Do not stir. After 5 minutes, stir the potatoes, and set the timer for 5 more minutes. Let the potatoes cook without stirring. Once the timer goes off, stir one more time and let the potatoes cook for 5 additional minutes, for a total of 15 minutes of cook time. When the last timer goes off, turn off the heat and season the potatoes to taste with salt. Add the bacon and ham and stir to combine. Sprinkle the cheese over the top, then cover the pan to allow the cheese to melt. To make the hollandaise, place the egg yolks, lemon juice and salt in a blender. Pulse to combine. With the blender on low, add the butter in a slow, steady stream. Once combined, pulse another time or two to make sure everything is combined. 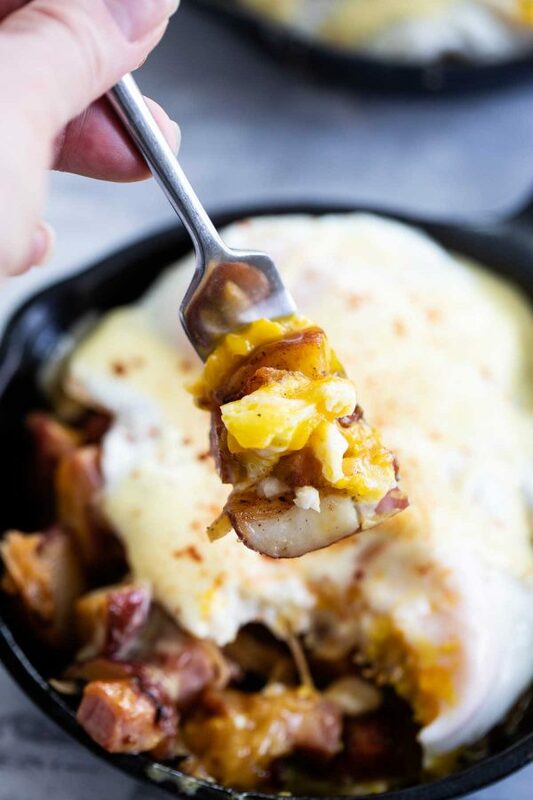 To serve – take some of the potato and meat mixture, place 2 cooked eggs over the top, then drizzle with the hollandaise. Sprinkle with paprika, then serve. *If you use a ham steak like I did in the video, be cautious as the ham may pop when the water releases from the ham and hits the hot oil. Leftover ham from a full ham shouldn’t do this, but a ham steak or the diced ham that you can buy at the store will. 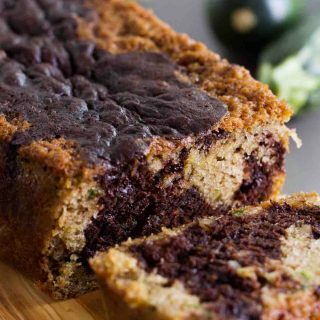 **You’ll want about 1/4 of grease left in the pan. If your bacon doesn’t leave a lot of fat behind, you can add in butter to have enough in the pan. 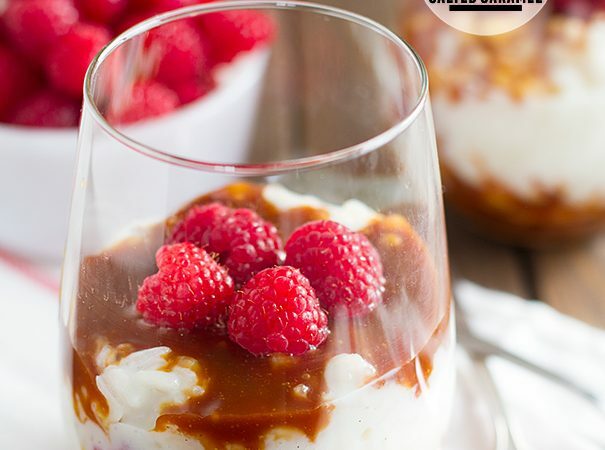 This looks super tasty! 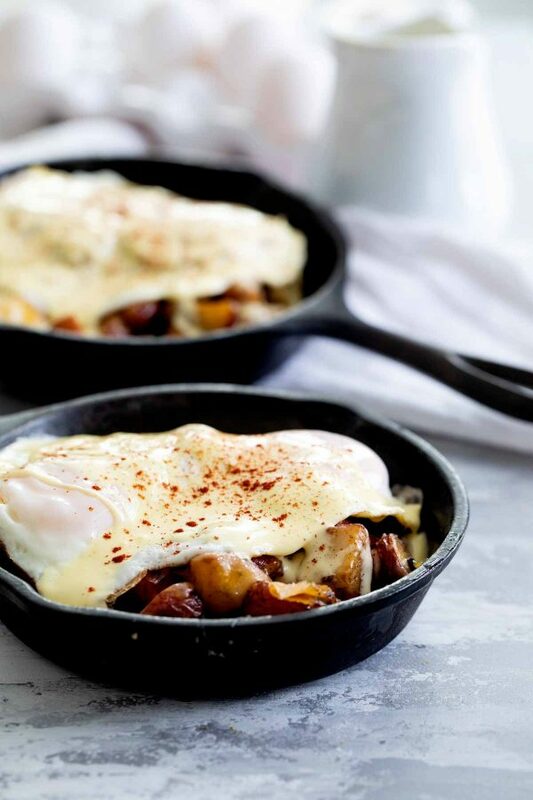 I love breakfast too, I can eat it any time of the day 🙂 This skillet looks like it would be great for a snow day in and that fork filled shot is making me want to try out this recipe (asap) before it gets any warmer outside! Wow, this was REALLY tasty. Our neighbors raise pigs and they gave us a package of thick-cut bacon recently so I used it with this recipe. I want to make it again, it was so good. And I’ve never had my hollandaise sauce work until now. Thanks for the recipe! 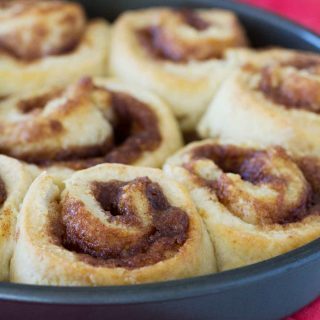 I plan on making this for Easter Breakfadt for family that is coming in town. I looked but did not see how many servings the recipe is for. Please let me know so that I can adjust accordingly because this will be for 10 people two of which are growing teenage boys!! 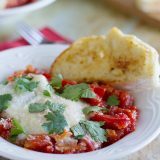 Hi Sherry – this makes 4 servings, each with 2 eggs and 4 oz of meat so they are decent sized servings. I hope you love it!